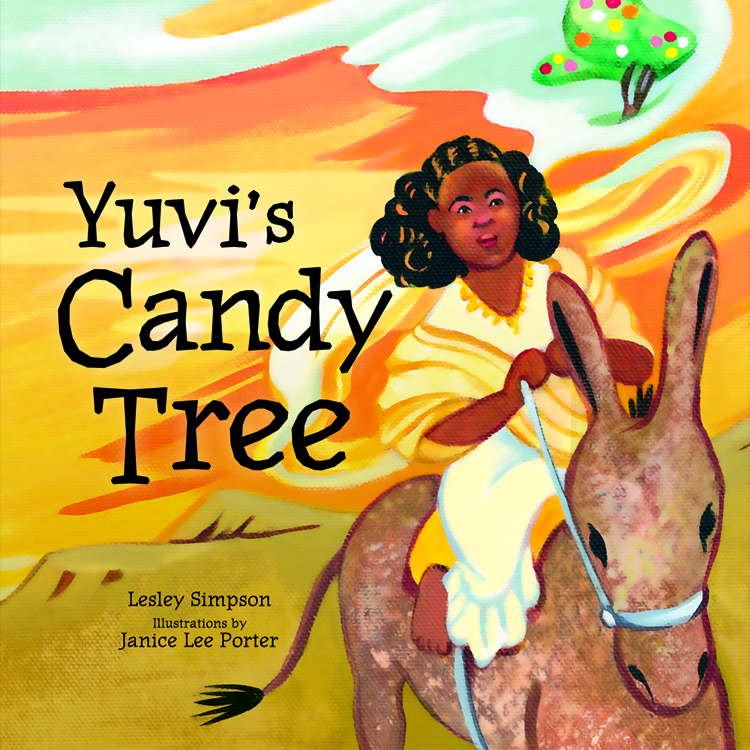 This is the launch speech in English writer Lesley Simpson delivered in Ranana, Israel to celebrate the Hebrew translation of Yuvi’s Candy Tree.Learn how a movement began to share this story with people all across Israel. You don’t know what will happen with the book. Will it fly or flop? Having a book out is like watching the release of a baby bird. Some birds wobble. Some birds struggle. Some birds fly. None share their own private GPS systems. This bird–Yuvi’s Candy Tree–began in English . It began as a part of an interview I had with Yuvi Tashome in Toronto, in Canada where I live now. When she told me her history I felt as if I had been given a gift. I felt transported. But my dream was for this bird one day to speak Hebrew. Hebrew would be the bird’s most natural habitat. Hebrew would be the best future for the bird. The bird belonged in Israel. I wanted the book to be in Hebrew because Yuvi’s Candy Tree is not just about the Ethiopian Israelis but about the aliyah to Israel, a journey you have made for different reasons.I wanted the book in Hebrew too because I fell in love with a language I am still learning. I tried many publishers. I got many rejections. Then a door opened! Thanks to Prague Publishing. My other books have been translated into French and Spanish. But Hebrew, the language of our anchestors? ! ACHLA! (That means sweet in English). Nir Katz sent me a picture of the cover. I stared at it on my phone not quite believe it was happening. . I saw Yuvi Tashome reading my book in Hebrew on a video I watched at home in Toronto. Jews here in Israel nourished that bird in a radical way. The president Reuven Rivlin recommended the book on his Facebook page. Then more good news. “We want to get this book into each library in the country.” said Liora Kvora, a lawyer whom I had never met.Then Nir Katz sent me the video of “This is my story too” featuring Israelis and where they had come from, the stories of from Friends by Nature as part of the headstart campaign. I reached out to friends and family to donate to the campaign. Then I found out the launch would be here in Ranana College and feature a photographic exhibit of Ethiopian women. This bird was being nourished by Jewish creativity, and by the vision of Yuvi Tasome, Nir Katz and their growing team of radical hope and transformation. This launch day, today is not the end of the road ( I know sof ha derech). 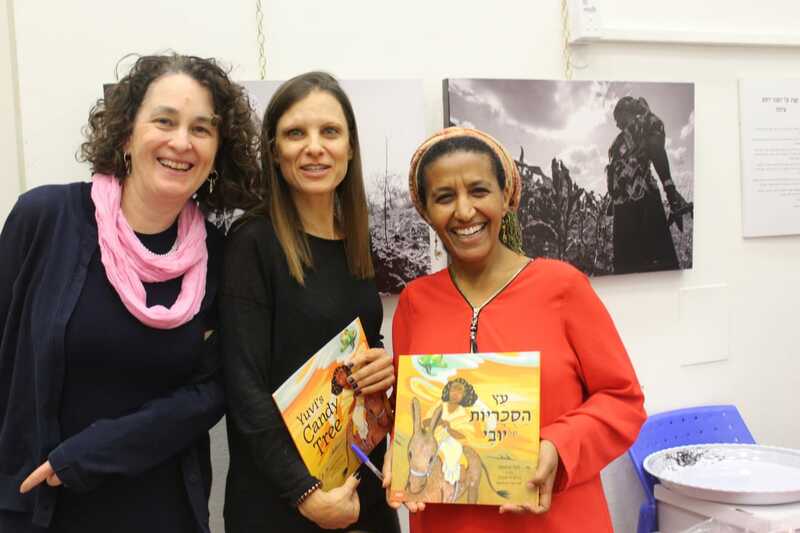 There is a plan for a fair of Ethiopian Israeli writers to share their stories near Jerusalem Day. Youhave history here to honour. You all have stories that matter. Imagine all theses stories being written and released into the public square. Birds returning home from all over the world. SoI want to thank you for welcoming this bird home. You transformed it into a miracle that continues to unfold. Learn more and get your own copy of Yuvi's Candy Tree.